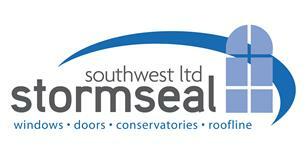 Stormseal Southwest Ltd - Fascia/Soffits/Guttering, Windows/Doors/Conservatories based in Estover Close, Devon. Invoice history based on 69 reviews. Stormseal SW: Conservatories, Guardian Warm Roof approved installers, UPVC Windows, Doors, Porches and Roofline. Warmer, better looking, safer and more durable. What’s not to love about our high-quality UPVC and roofline products? Our loyal customers in Plymouth (and further afield throughout Devon and Cornwall) come to us with projects of all sizes. From freshening up rotting timber rooflines with modern UPVC roofline alternatives, all the way to designing stunning conservatories with cosy double glazing, we take care of it all. We know that choosing the right product for improving your home can be overwhelming. With so much choice and various price points to consider, how do you know you’re getting the best deal for your budget? Our team is more than happy to help you come to the best decision for you. Our impartial recommendations are delivered with your unique position in mind. After all, what works for one customer might not be appropriate for the next. We’d be very happy to deliver a no-obligation quote for you to consider, we will give a free written quotation either by Royal mail or email for every customer. we do not use any gimmicks, no imaginary discounts, no "today only" special offers, no "this price is only available until the end of the week" just good old fashioned honesty and integrity. Call us today on 01752 696989 and we’ll get straight to work.